Sherry died exactly six years after I was fired by UL for attempting to shed light on the origins of another mass slaughter—the U.S.-led War of Terror. When I first spoke out about 9/11 the mainstream media was ignoring any such questioning, but six years later they had begun claiming that anyone like me must be a Holocaust denier. To the contrary, I’m a Holocaust believer. 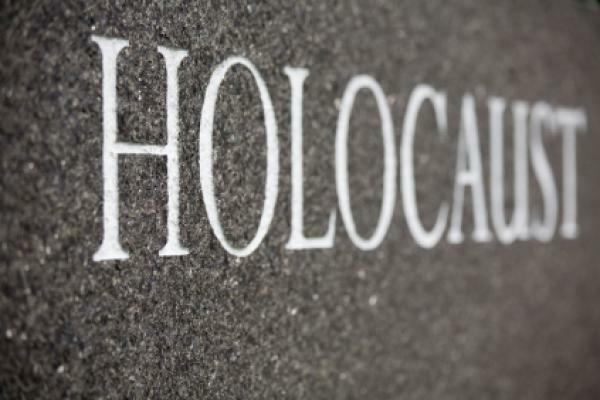 In fact, I wouldn’t be surprised if the people behind the Holocaust were connected to the people who committed the crimes of 9/11. After all, the FBI has recently revealed documents that suggest that Adolf Hitler might not have died in 1945 but, instead, was hidden in Argentina until his death in 1965. It’s common knowledge that thousands of Nazis, many considered war criminals, were sheltered in Argentina and other South American countries. Given that the Nazis were big fans of “The Big Lie” and that the crimes of 9/11 appear to be just such a lie (with FBI leadership suspected of being involved), it’s not too wild a notion that Hitler and his legacy survived. Moreover, the Office of Strategic Services (OSS) used Nazi war criminals for intelligence operations after the war and the OSS assisted such war criminals in evading capture and prosecution. In a few cases, the OSS actually facilitated their immigration and assimilation in the United States. Therefore, people like Allen Dulles and William Casey, both high-level OSS officers and later CIA directors, provide strong links between the assimilation of Nazis and the U.S. deep state that is suspected of involvement in the 9/11 crimes. This leads me to the second person I know who was related to the Holocaust, although less so. A former Nazi soldier actually contacted me in late 2012. This was Ernst Rodin, who over the past few years has developed an interest in groups seeking the truth about 9/11. He wrote asking if I would consider speaking at a conference that he was organizing on the subject. If Rodin is known among 9/11 truth advocates at all it is because he attended The Vancouver Hearings in 2012. He was called both a participant and merely an attendee in that dubious affair, and was said to have had dinner with the organizers. Referred to as a retired psychologist in reviews of the event, Rodin went on to write about it extensively at his blog. It was shortly thereafter that Rodin decided to reach out to me and others in an attempt to organize another such conference. After looking into his background, which is far more interesting than that of any retired psychologist, I declined. According to his autobiography, War & Mayhem, Rodin was a member of the Hitler Youth for four years and a soldier in the Nazi Wehrmacht for two. His war experiences included killing another soldier who turned out to be an ally and being mysteriously saved before the Russians overran his unit’s position and, presumably, killed everyone else. Rodin went on to become a medical doctor specializing in neurology and he relocated from Vienna to the U.S. where he has led a full life. More interesting is that, in the U.S., he became a leading mind control experimentalist and a CIA asset. In fact, the late journalist Alexander Cockburn described Rodin as a “Dr. Stangelove” type and a mentor of the CIA mind control scientist, Lewis West. In a message to me, Rodin denied that he ever tutored West but he did acknowledge having been a CIA asset and he believed that the CIA still wanted something from him. It is certain that Rodin has a history of conducting unusual experiments on humans. Rodin used human subjects for many tests involving substances like LSD, marijuana, alcohol, PCP, and Metrazol. His experiments were focused on behavioral modification objectives similar to those of MK-Ultra, the CIA mind control project. MK-ULTRA started in 1953 just after Rodin came to the U.S. and at the same time that he began working with the CIA. The project was a successor program to the experiments run by Nazi scientists who had been brought to the U.S. for Operation Paperclip. MK-ULTRA combined the use of drugs, like those in Rodin’s experiments, with hypnosis in attempts to achieve behavioral modifications that existed for longer periods without the subject’s awareness. Perhaps Rodin’s most famous patient was John Hinckley, Jr. If his March, 1981 attempt to assassinate President Reagan had been successful, Hinckley would have made George H.W. Bush the president for up to 12 years. Coincidentally, Hinckley’s brother had a dinner date scheduled with Neil Bush for the next day. Rodin was one of the psychiatrists who examined Hinckley, who was found not guilty by reason of insanity. After presumably retiring from his mind-control science work, Rodin went on to write a great deal about Zionism and the problems of Jewish history. It seems odd that a former Nazi soldier would find it acceptable to live out his days in the U.S. writing about such things. But it is also interesting that such a person would attempt to insert himself among 9/11 truth advocates as a potential conference organizer. If such a conference did occur, the propagandists would have some material to work with. They would undoubtedly focus on the Nazi organizer angle while ignoring questions about why a CIA-linked mind-control scientist was so eager to get involved. Anyway, Sherry Moses hoped that we would learn from World War II and the Holocaust. Unfortunately, due to organizations like the OSS, the CIA, and the propaganda machines of the 21st century, it seems that we are doomed to repeat some of the same mistakes. The people of Iraq, Syria, and Afghanistan, and those who have been indefinitely held and tortured in our War of Terror, would probably agree. Our best hope remains the chance that we will expose the Big Lie of 9/11 and learn from the deceptions behind it.